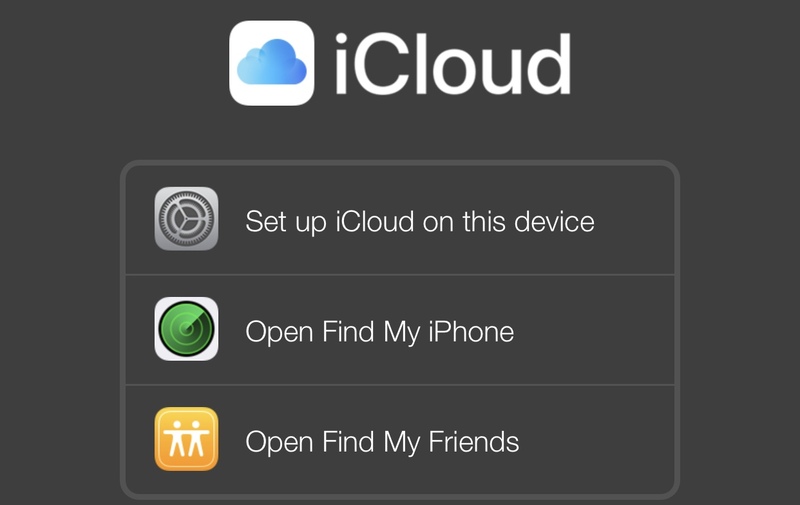 Find my iPhone | It works! Find my iPhone. It works. Tried and tested. We went to drop my mother-in-law (MIL), who was leaving on a long haul flight to India, to the airport. The normal check-in and security song and dance happened. Being a long haul flight, the boarding time was about an hour prior to the departure time to get all the passengers and their cabin baggage situated and strapped in for push-back and take off. Little did we know that this very common process of seeing someone off at the airport would lead to a mini-adventure of sorts! Security Check, as always, is a bit of an organized chaos. So many of us travel so often, yet many go through the security checks and protocol (which should be second nature by now!) like a deer caught in lights. Wide eyed, dazzled and without a clue. And rushing and panicking as if the x-ray machine is going shut down any moment. No security check. No flight. MIL was caught in this circus of deer! She had to place her electronic devices (yes, plural!) and the jewellery she was wearing in the bin as she progressed through the scanner. The scene at the other end is nothing less than a gaggle of geese fighting over a soggy piece of bread. Patience? What patience? While this is going on we were waiting outside by the barriers just to bid that last little micro-second of a good bye wave! 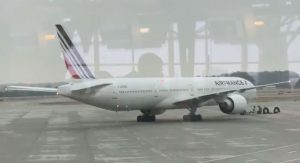 It appeared to take longer than usual and we assumed that we must have missed her and she was on her way to the gate. We decided to leave for home, stopping along the way to drop our son to his apartment in downtown Atlanta. Before dropping him we stopped at a restaurant to pick up some food for him. It was about an hour since we had left the airport. Just as we are heading home after dropping the young man, my wife gets a call from MIL! From someone else’s phone. She had borrowed the phone to inform us that her iPhone didn’t show up in the bin when she went to collect her things after the scanner! She and the TSA agents did try to find the phone but were unsuccessful. When she called, she was already at the gate since the flight was already boarding. We assured her not to worry about the phone. We’ll see what we can do. And with that she carried on to the flight. Sans phone! No Candy Crush on the flight! I parked the car. Opened up iCloud.com on my phone browser. Fortunately (being the TechHead of the house) I had my MIL’s iCloud credentials. Furthermore, I had set up ‘Find my iPhone’ on her account. Clicked on Find my iPhone and the map fired up. After an excruciatingly long 20 seconds or so, an iPhone came to life on the map. The location showed as being around the Security Check area at the airport. We tried calling the phone hoping an agent would hear it and we could ask them to keep it aside and safe for us to pick up. No answer. I imagine the ring wasn’t loud enough to be heard over the security area cacophony. Remember those deer in headlights? We headed straight back to the airport. All this time I had the iCloud – Find my iPhone – screen on, hoping the phone doesn’t turn off or start ‘moving’ to god knows where! Parked the car. Rushed into the departure level. To get in to the security area, I had to have permission and assistance of a TSA agent. I was allowed to go up to the TSA agent (who checks your ID and boarding card, before you go through to the security check). I explained the situation to her and showed her the Find my iPhone map and location of the phone. She was very helpful. I was passed on to another TSA agent who escorted me to the entrance (the glass doors) of the security area and I was asked to wait there, while he would go and check around the conveyor belts. There I was, standing by the pile of bins at the head of the conveyor belt. The deer in the headlight folks wondering why I’m not panicking (like they were) and not rushing around (like they were!). At this proximity the location is not absolutely accurate. I’d say accuracy would be within a 20-30 ft radius. The phone was certainly live and within the security area. I had told the agent that once he was near the conveyor belts on the other side of the scanners, I’d ‘sound the iPhone’ which may help him. I initiated the sound. Once the ears settled and honed into that pinging sound (very much like the ‘submarine pings’ from ‘Voyage to the Bottom of the Sea‘!) I heard it very close to me. I tried to follow the sound. It was coming from the four piles of bins I was standing right next to. I’m looking under, over, all over the bins. The sound was inside the piles somewhere. Four piles! I kept listening for the sound, one pile after another. Narrowed it down to one pile. Now where in that pile was the phone. Only way to find out was to rearrange the pile, one bin at a time! I’m doing this to the bewilderment of the passengers progressing through security. I must have looked pretty amusing! About 20 bins later, there it was. Found the iPhone! Still pinging away! PHEW! I caught the TSA agent’s attention and showed him the phone and mimed ‘Found it!’. When he realized the phone was in the bin, all the had to say is that ‘That location thing isn’t very accurate is it?’ Errrrr ummm! OK, then! In any case, thank you TSA for helping me find the phone! A learning experience indeed.useful fr other phone users too.